These times apply only to the specific location and specific day (not numerous days). If hunting in between two listed communities, hunters can calculate what time would apply in their location. 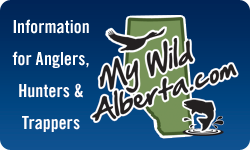 The Alberta Guide to Hunting Regulations is published annually by Sports Scene Publications Inc. 10450 - 174 Street, Edmonton Alberta T5S 2G9. 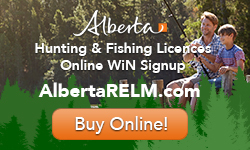 The publisher is responsible for the content of this publication, and is licensed by Alberta Environment and Parks to publish the summary of the hunting regulations contained herein. 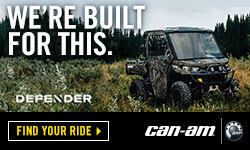 The contents of this website are provided free-of-charge to all hunters in Alberta. With the exception of short quotations for review purposes, no portion of this document may be reproduced without written permission from Alberta Environment and Parks or Sports Scene Publications Incorporated.